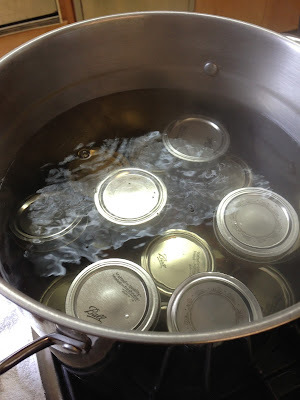 As you know, last year I developed an interest in jam making and canning. Although I've found different resources, my main reference has been Marisa McClellan's blog and book, Food in Jars. Last year I met her briefly at a book signing event in Boston. I've always wanted to attend one of her classes but most are based outside of the Boston area. So when I heard she was going to be in town, I jumped at the chance. Yesterday morning I headed out to Newton Highlands to make Dilly Beans and Spiced Nectarine Jam. I tried pickling once before in an attempt to use up okra from my farm share. I didn't put those through a water bath and although they were really pretty I used too many hot peppers and I couldn't eat them. 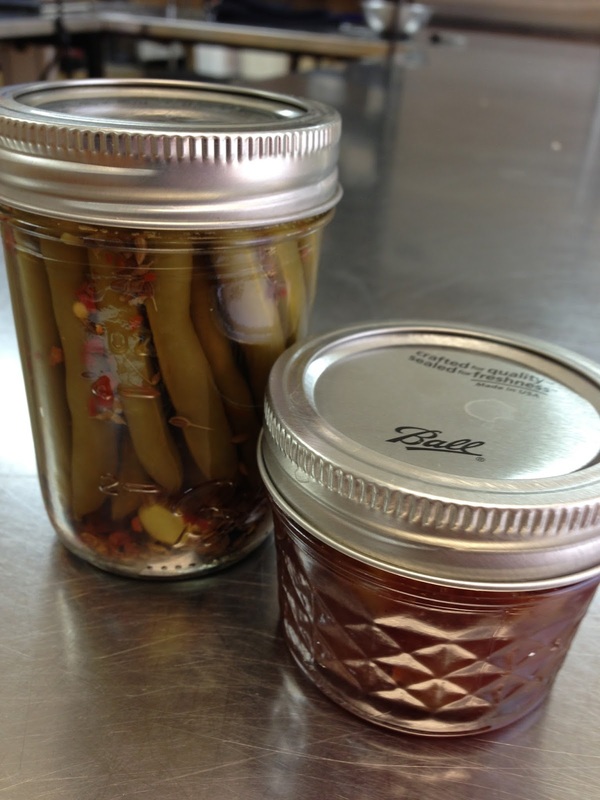 The Dilly Beans recipe on her blog and in her book are slightly different from the one we used in class. 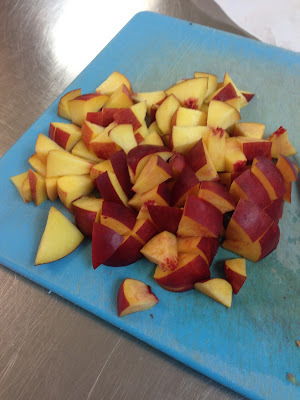 But as long as you get the vinegar, water, salt ratios correct then the seasonings can be altered according to taste. We used crushed red pepper flakes, black peppercorns, dill seeds, and fresh garlic cloves. You can add them in whatever combination you desire. Or you could add other things like cumin seeds or cayenne pepper. It's really up to you. 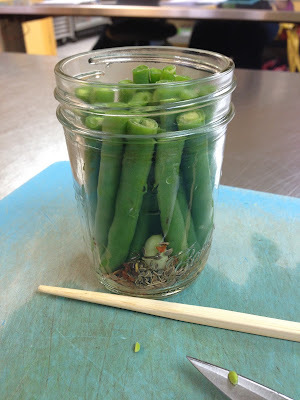 We used half-pint jars in class. 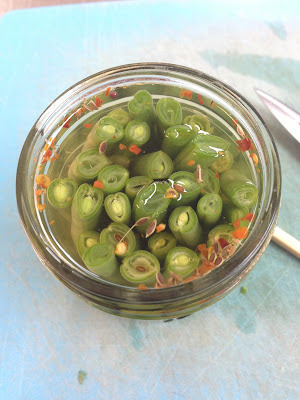 I've seen the pint-and-a-half jars in stores and I think those might be nice to use so you don't have to cut down the green beans. 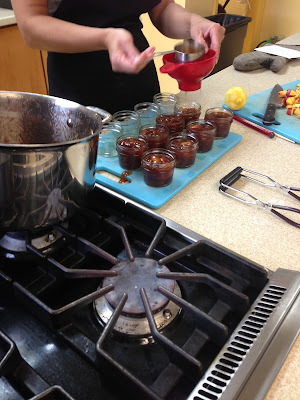 Marisa told us that we should wait a week to allow the beans to fully absorb the flavors. 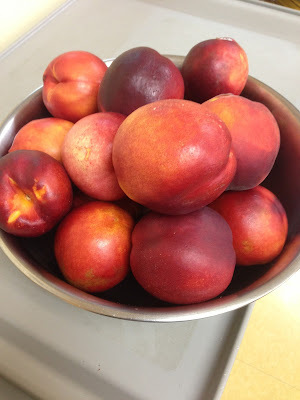 The Spiced Nectarine Jam recipe is neither on her blog nor in her book. I didn't ask her permission to post the recipe so I won't do that. 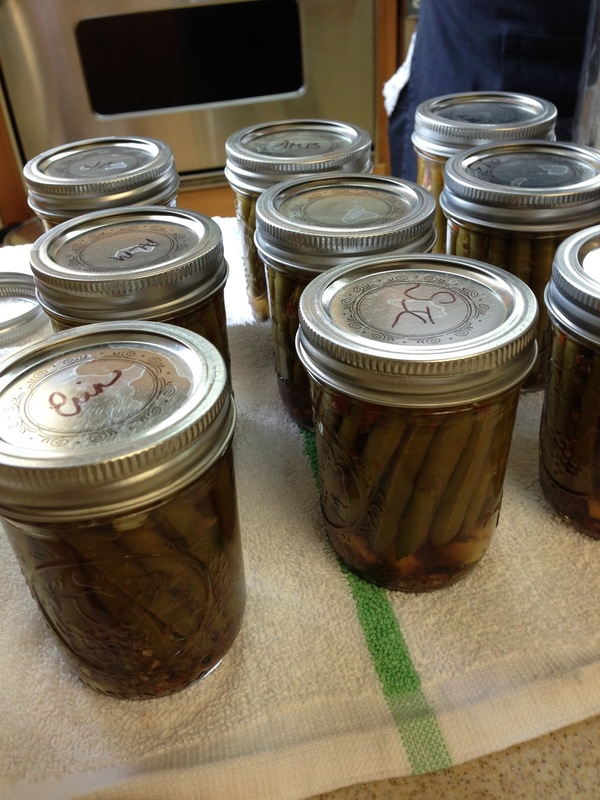 You'll just have to attend one of her classes - and if you're new to canning I think it's worth it. I will say that with the whole class chopping nectarines - only two per person - we quickly had more than enough chopped fruit. 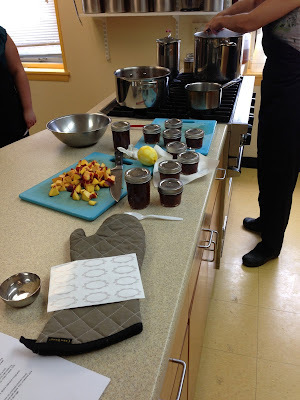 I think the most valuable thing I learned was how to tell the jam's set and what exactly I'm looking for when using the "sheeting" testing method.Unfortunately I don't have a picture but the two things are to watch for bigger, wider drops that are more thick and viscous. 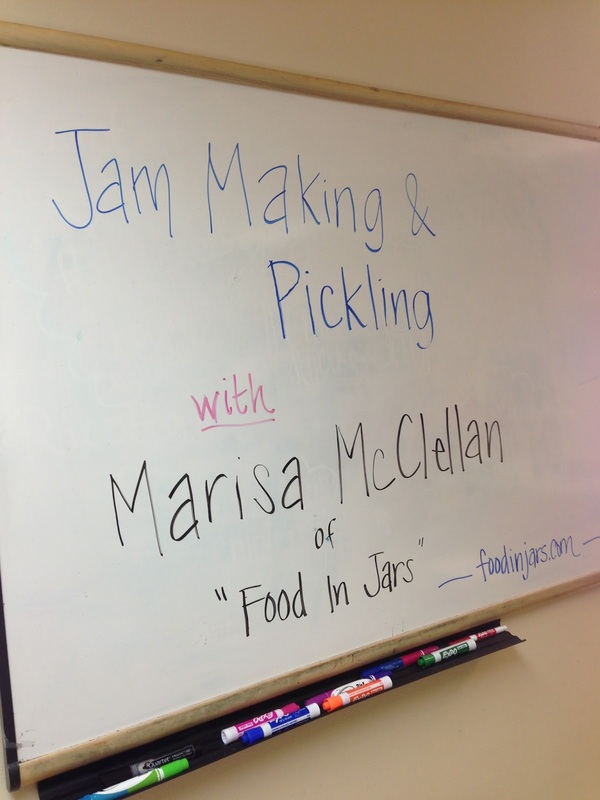 Throughout the class Marisa covered all topics related to canning - jars, lids, favorite tools, types of pectin, how to deal with different types of fruits and vegetables, etc. She's a wonderful, warm person who shares her love and knowledge of canning so easily. I know she has quite a busy schedule and she's finishing up her next book. I'm not sure when she'll be back in Boston again but I hope to see her again.